Amazingly Priced Lots in Cosgaya! 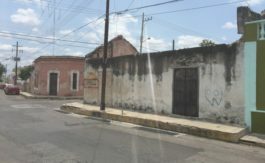 Conveniently located just north of Merida near many new developments and the Polo Club, these lots offer a short drive to Costco, the Prolongation of Paseo and several malls for shopping while also offering the peace and quiet of a more rural setting. With easy access via a wide newly paved road off of the Merida-Progreso highway, you can truly enjoy the best of two worlds in Cosgaya. The lots vary in size as seen on the recorded plot which also shows the 13 meter wide road into the development. 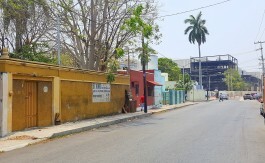 Although the area is much quieter than life in Merida, the lots are serviced with city water and electricity as well as high speed internet. Two tiendas, the town park, and even a baseball field are a short walk away. The town is also serviced with a paved bicycle and pedestrian route meaning you can keep in shape with morning or evening bike rides when living here. At only $25 per square meter, you could build a weekend retreat from the city or beach, plant a garden of your own, or just hold on to it for investment or future use. With lots starting at just $13,000 USD, buy a few to create a large property for your homestead. Financing up to 24 months is even available, so contact us for more information on individual lots or to reserve your lots in Cosgaya.